*Ratings from April 20, 2017, RealSelf Patient Ratings. Dr. Cova administers the Sciton Halo™ Laser Treatment at COVA MedSpa in Centerville, Ohio. Halo™, the world’s first Hybrid Fractional Laser (HFL), is revolutionizing resurfacing. Halo™ delivers non-ablative and ablative wavelengths to the same microscopic treatment zone, giving patients results they love without the discomfort or downtime they expect. Works on the damage you can, and can’t see. Yesterday’s lasers can’t do what Halo™ can. Over time your skin can really take a beating due to sun exposure and the aging process. As a result, your face gets sun spots, fine lines, and can lose that healthy look. Previous lasers couldn’t effectively remove this damage, but Halo™ combines deep dermal revitalization with epidermal renewal. It targets precisely the right depth for quick, efficient, effective results. Halo™, the world’s first hybrid fractional laser, applies tunable non-ablative (1470nm) and ablative (2940nm) wavelengths to the same microscopic treatment zone to maximize results and reduce downtime. Sciton’s new technology produces targeted, reproducible, effective results that improve the appearance of numerous skin conditions. Intelligent energy delivery, combined with Dynamic Thermal Optimization, ensures precise, even, safe treatments. Halo™ owners love achieving maximum return on their investment while exceeding their patients’ expectations. Easy to use and virtually painless, Halo™ sets the standard for the future of laser resurfacing by providing a safe and powerful long-term hybrid solution. As part of the multifaceted, expandable JOULE platform, Halo™ provides the practitioner with a dynamic and essential component of their aesthetic toolbox. Long term sun exposure, active lifestyle and the wear and tear of everyday living results in visible signs of skin aging, including wrinkles, discoloration, scars and laxity. A fractional treatment, whether ablative or coagulative, allows the epidermis to heal quickly as long as the dermis remains intact. 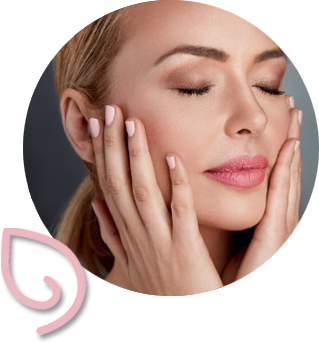 Ablative fractional resurfacing is a well-established treatment that vaporizes aged tissue with less thermal injury, with mild to moderate levels of morbidity and downtime. Conversely, non-ablative fractional resurfacing causes thermal injury and tissue coagulation with lower levels of morbidity. The HALO™ hybrid fractional laser combines ablative and non-ablative wavelengths delivered to the same microscopic treatment zone to maximize clinical results and minimize downtimes. HALO™ is safe and effective, while providing an enhanced patient experience. HALO™ can treat most skin types, on face and body. Popular off-face treatments include: neck, chest, arms, hands, legs and scarring.